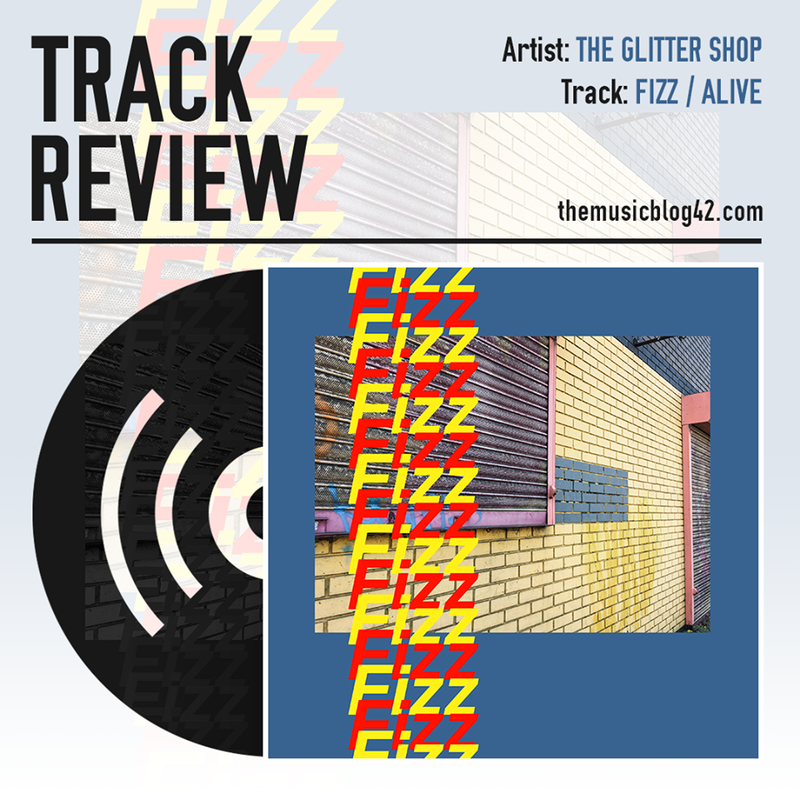 Fizz, the lead track from their two-track release, is a slow-building pop masterpiece. With it’s 80’s new-wave like intro weaving in with lead vocallist Harry Dale’s enchanting vocals, the opening to this track is one of the best we’ve heard all year. The chorus is equally as great, with its uplifitng instrumentals, intricate vocal harmonies and memorable lyrics, this song has all the elements of a classic indie pop track. If you love bands like Crystal Fighters and Blaenavon, then you’ll love The Glitter Shop. The follow-up track Alive is a haunting indie-folk track, with beautifully constructed guitar melodies from guitarist Barny Cutter ghosting throughout the dulcet tones from vocalist/keyboardist Ruby Smith. This track is so refreshing to hear and is a world away from Fizz, though both tracks combine perfectly to show the band can branch out in to different genres. 2018 is without a doubt going to be the year of The Glitter Shop. With their two debut tracks out tomorrow and their The Hunter Club debut gig on 20th January, they will soon become one of the most-loved bands in Bury St Edmunds. Watch out as they’re going to take the BSE music scene by storm! Stream the track Fizz exclusively on B-Side Music Magazine NOW before the offical release tomorrow!